There were several pages in the records where the names were unknown and one of these pages consisted completely of women. Otherwise, there were very few women in the records. 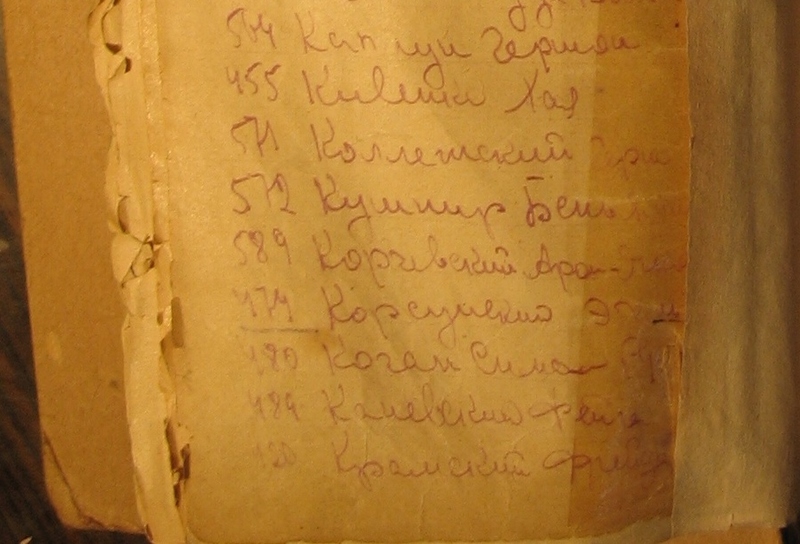 At the bottom of the page one of the unnamed women was later named as Sluva Korsunsky, about 35, wife of Leib Korsunsky from Bobrinets. I had tried putting several names from the list into Google to see if anyone had written about individuals who had died in the pogrom but found nothing. 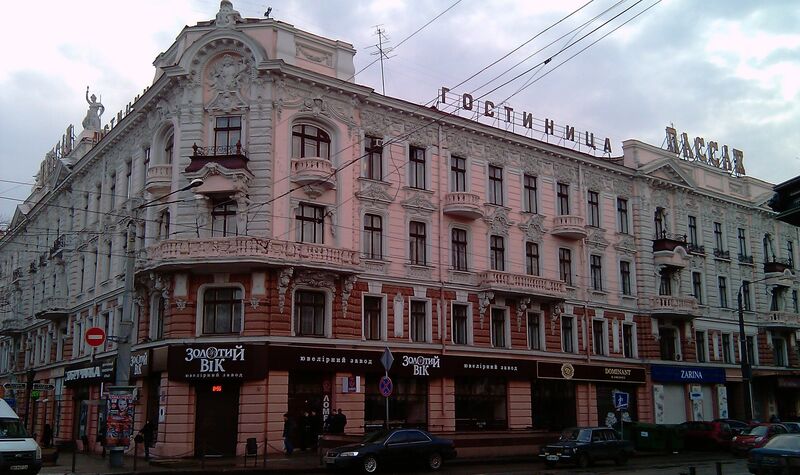 However, there was a story about Leib Berkovich Korsunsky in a 2005 edition of the Odessa magazine Tikva, told to the author, Oleg Gubar, by Korsunsky’s granddaughter, after he had written an article about various Odessa streets, including the ‘Passage’ off Deribasovskoy Street (http://viknaodessa.od.ua/newspaper/news/?3957). 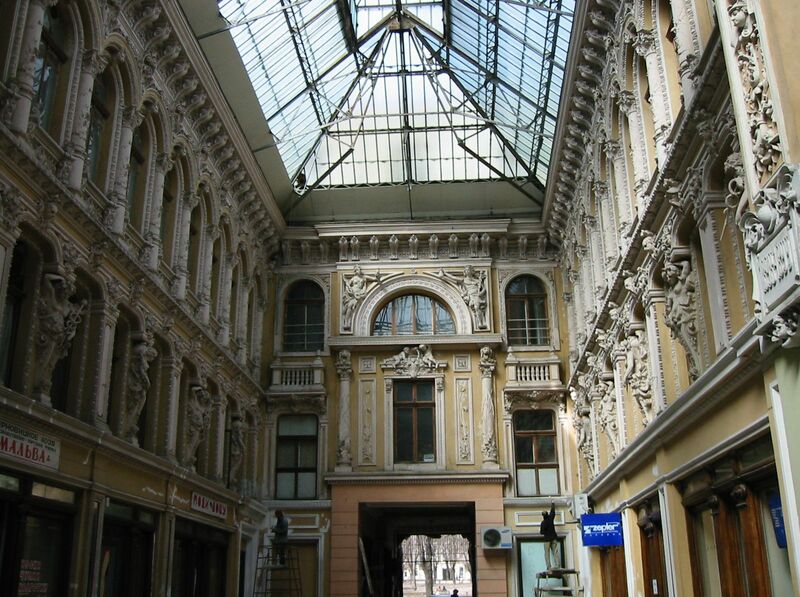 Leib Korsunsky was described as a forgotten, ordinary man, a man who owned a toy shop in the ‘Passage’. After a description of the shop, the apartment above and the workshops in the courtyard, acquired at the turn-of-the-century, the story moves to 1905 and the calamitous pogrom. According to the story, the ‘Passage’ had gates at both ends and a policeman who knew Korsunsky kept guard so the troubles passed them by. Immediately after the two sentences about the pogrom, the story moves on to the granddaughter’s young aunt Emma and how she was so beautiful she was put in the toy shop window instead of the dolls, and how she ran away from her nanny one day but the friendly policeman brought her home. Why did the granddaughter tell these two stories of her aunt directly after the two sentences about the horrific massacre in Odessa? What was not being said in this story? Who is keeping the secret, the granddaughter or the grandfather? As well as translating and listing the pogrom victims, I was also translating an index of Odessa births from 1902. Wondering whether Emma or one of her siblings might have been born in 1902, I looked through the index and found a Korsunsky daughter whose first name was very faded but began with an E. Someone in this family did not want to tell the story of the death of Sluva, Emma’s mother. Had Emma, three years old, run away from home possibly in search of her mother one day after she disappeared. The story lies there between the lines once you have seen Sluva Korsunsky’s name in the records. 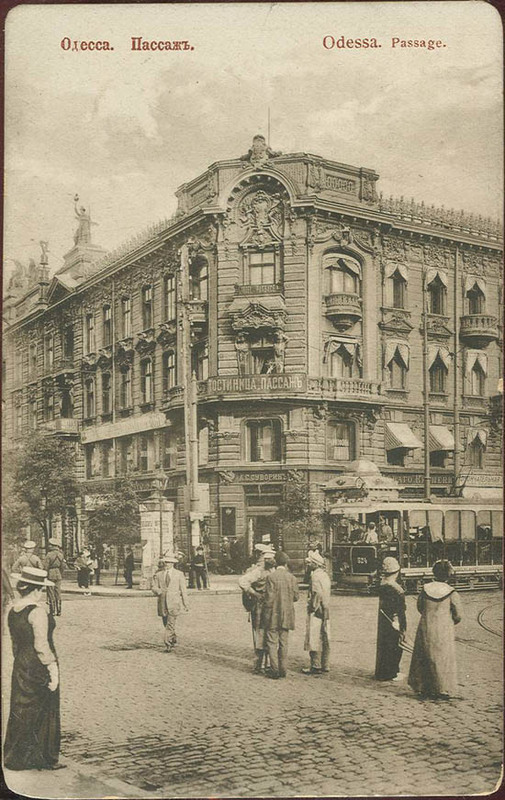 The end of the article moves on to after the revolution when the Bolsheviks have taken over in Odessa, requisitioning the now optical and toy shop for the state. Korsunsky returns to the shop and asks if he could have a box of old photographs of his children. The shop girls find the box and mockingly tear the photos to shreds and throw them in his face. He is broken by this experience, becomes ill and dies soon afterwards. Were these photographs of his children when they were very young, studio portraits that were common at that time, and did they include their mother? Knowing that his wife died in the pogrom and that she was never spoken of afterwards, her memory completely hidden from her grandchildren, one can understand how tearing up the photographs would have been like tearing his memories of his wife into pieces. Before the author of the article starts telling the Korsunsky story itself, he writes: ‘The fate of the lonely ‘little man’ in a historical context gives more understanding of an era than voluminous, dull, scientific monographs. And I feel a genuine moment of joy when, in some or other story, a seemingly minor character unexpectedly acquires the traits of a living person who has the indisputable right to be immortalised on an equal footing with the well-known.’ And then, a few lines later, he adds that the superbly recalled stories he heard about Korsunsky showed that he was not such an ordinary person. I felt that the author had expressed my own thoughts beautifully. I am fascinated by the stories of forgotten people, many of whom wanted their not so ordinary stories forgotten. I want to find the ghosts between the lines. Although there was much in Korsunsky’s story that was beyond the ordinary, and he certainly lived in times that were far from ordinary, the crux of the story is missing, and now the story of the barricaded passage in 1905 and the children’s photographs finally come together and make sense. My own family story cannot even be a ghost between the lines as so little is known. In the weeks after finding the story of the toy shop, I continued putting different keywords in English and Russian into Google to try and find out more about Sluva Korsunsky. I found another Sluva Korsunsky who had died in the early 1950s in Argentina, so possibly she had been remembered unless it was another relation or someone else entirely with the same name. And then I found a poem written by Tatiana Korsunsky called ‘May dream’ (2009)(http://www.stihi.ru/2009/05/09/2230). It begins, ‘Once again I dream this dream: in my old house came the pogrom.’ It continues with a young boy hiding in his cot and his grandfather, the author’s great-grandfather. And then she says, ‘Why do I dream that dream, my old house and a pogrom there?’ She wakes up in her quiet Hanover apartment. Her son is 24. ‘Why do I dream this dream?’ The title comes from the ending, a scene of a May day carousel and the sight of old uniforms, half-fascists, half-beasts. Is this a dream, is it the truth?